"Early detection saves lives. 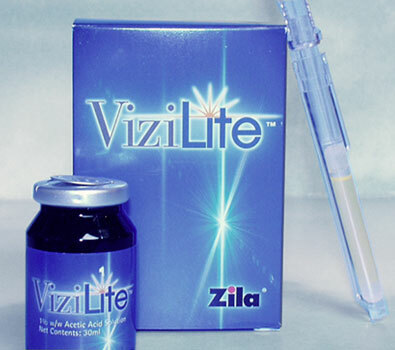 ViziLite Plus helps early detection." ViziLite Plus uses technology that has been proven successful in identifying other types of precancerous and cancerous abnormalities. It's particularly important for patients at increased risk for oral cancer. When early-stage oral cancer is found, treatment is simpler, less invasive and more than 90% successful. ViziLite Plus helps identify oral lesions sooner.